A cash bar will be open. The plan is to travel through Port Canaveral, the barge canal and go through Canaveral Locks to the Banana River where we will turn around and return the same route. Watch dolphin navigate the locks! We should see lots of wildlife. 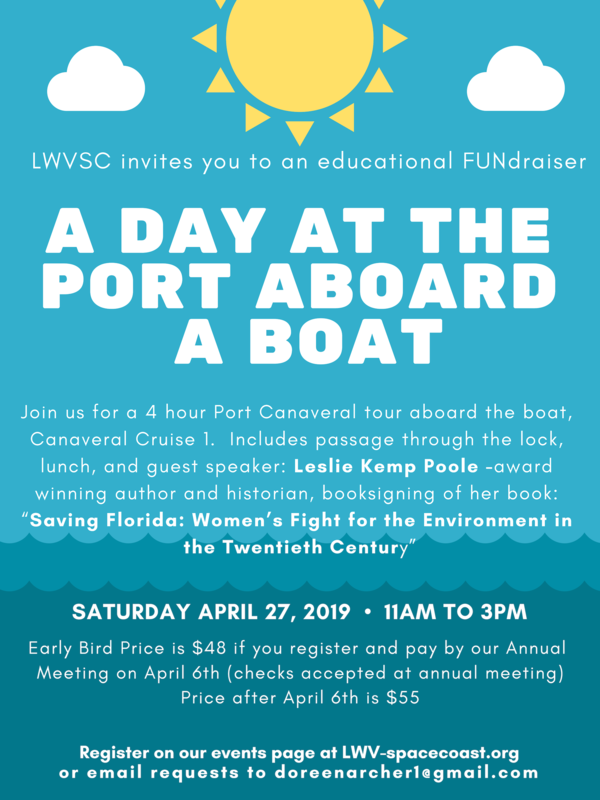 During our trip, learn about women in Florida and the Fight for the Environment with Author and Historian Leslie Kemp Poole. A 10% discount promo code for the May Timely Topic on the Port will be sent with your registration confirmation for this Port Boat Tour Fundraiser. The promo code must be entered when you register for the timely topic in order to receive the discount. Leslie Kemp Poole is an award-winning writer and historian. A fourth-generation Floridian, Poole has long been interested in the role of women in the state’s environmental movement and how they were saving the state’s important natural resources even before they were able to vote. Poole is Assistant Professor of Environmental Studies at Rollins College in Winter Park, Florida. She received her PhD in History from the University of Florida in 2012. Her articles have been published in a number of academic journals and she regularly presents papers about her research at history conferences. In 2008 she appeared in the PBS documentary In Marjorie's Wake which retraced a 1933 trip on the St. Johns River taken by noted author Marjorie Kinnan Rawlings. Poole also has worked as a freelance author for a number of magazines and publications. Prior to working in academia, Poole was a reporter for several newspapers, including the Orlando Sentinel, where she helped pen a series of articles about Florida's lack of growth management that won awards and was nominated for a Pulitzer Prize. 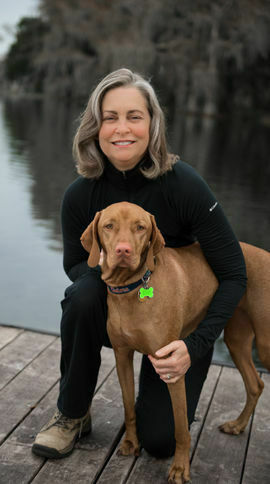 She lives in Winter Park, Florida, where she and her husband raised two sons and now frequently walk their dog.